i have written a timer which applies item level permissions on a document library based on few conditions. 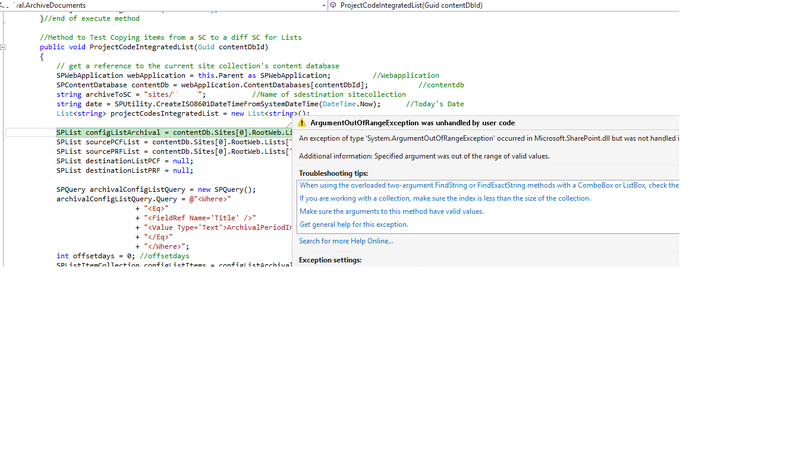 Also my colleague has written another timer job that copies some of the list items from list1 to list2. now the issue ia m facing is, when i try to debug my timer job, using owstimer process, the control immediately jumps into his code - inside execute()- . i am stumped to see, why this is happening! i dont have info. exchange with his timer job, then why these 2 timer jobs are colliding ? the above image shows the stuff , when i tried to debug my subfunction() within my execute() of my timer job. my timer job's control automatically jumps into his timer job code!! Do i need to write some extra code or some other settings in my timer,such that my timer is running in an "isolated mode" ? As far as i know, others' timer job functionality should not have any effect on my timer and vice-versa. owstimer will handle all the SharePoint timer jobs in that farm, I guess when you were debugging your job, your colleague job would have kick started and to the same solution you have placed the debugger, so the control goes to your colleague timer job. You can disable your colleague job and then try starting your job with the debugger attached to the code or try when your colleague job is idle.